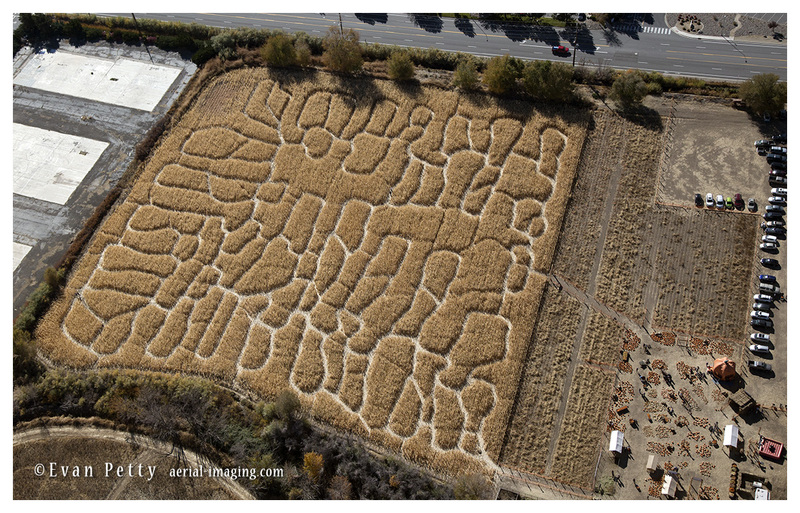 Returning to Reno Tahoe International Airport (RNO) a caught a shot of the Ferrari Farms maze from the air. The 5 acre corn maze is a lot of fun to navigate, and I have to admit this aerial picture does not give away any real clues. If anything it should inspire people to take their families to this terrific place!